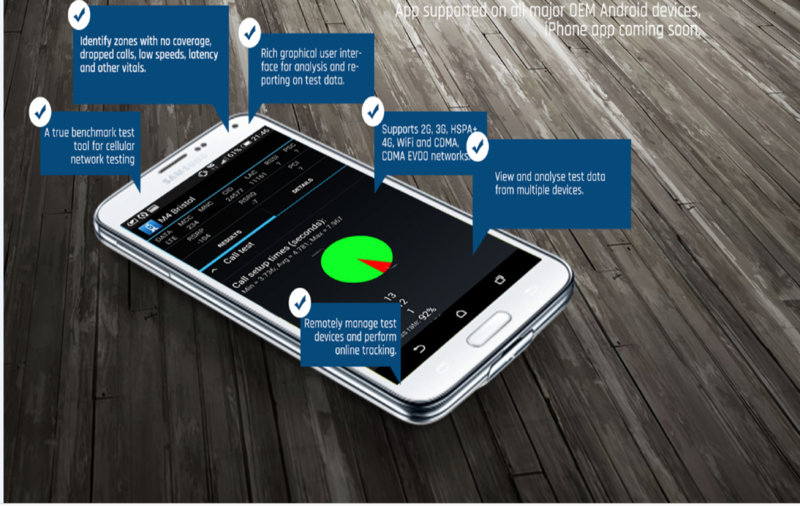 RantCell is a true network benchmark tool for telecom operators, small cell and field test engineers to check network performance and also to measure the key performance indicators (KPI) such as Ping test,data speed and Voice call test of 2G,3G, 4G (LTE),Wi-Fi and CDMA Networks. RantCell includes everything needed to test network coverage, performance and Signal quality. A smart way to test your cellular network on large scale. RantCell is a top notch Mobile Subscriber Experience Software which helps Mobile operators to measure the Quality Of Service their network is offering to its customers. RantCell is a revolutionary application as it minimizes the operational costs involved to test a network to a great extent. HighApe make things better and simpler, only because they can be. We filter, segregate and break down nightlife into beautiful pieces. We are one stop platform for all parties and events.Where to go and what to do for a fun night in Bangalore? 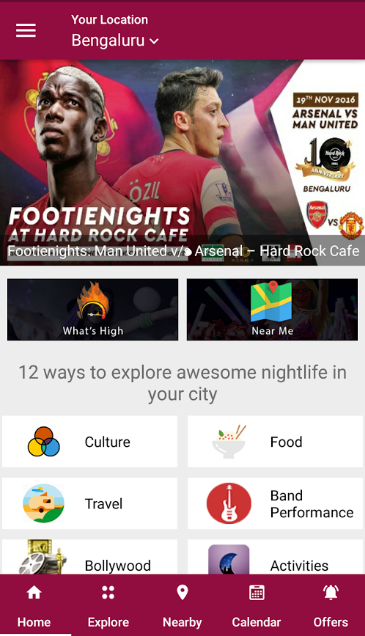 High Ape answers to this basic question in infinite different ways.This nightlife discovery platform lets you choose between all the insanely happening places in Bangalore, insuring you have a memorable evening with your companions. With the biggest collection of events, you can sort, segregate and select between all kinds of parties, concerts, meet-ups, festivals, exhibitions, workshops, plays, adventure sports and every other nightlife activity.Innovation and simplicity must always go hand in hand. With this ideology inculcated in every aspect, finding the most appropriate destination based on your interest, budget, location and timings, was never this easier. It’s always a great feeling when you to get your hands on exclusive offers and deals for some of the most premium venues of the city. Get ready to be blessed with that emotion of joy.As of now High Ape is available over only 1 city – Bangalore, and that is one of the reasons behind it being meticulously focussed on covering it all.!. Download HighApe app from Google Play Store. Cashkamao helps you to earn extra 1% of money for sharing your purchase receipts. We accept every printed receipts from Online shopping, Taxi Operators, Restaurants, Grocery, Malls, Food delivery, Bars & cafe’s.We want you to earn money on every transaction both online and offline. In fact we will give you a 50 rupees free bonus on your first registration, no questions asked!. Get paid for every purchase in addition to your discounts, you can get rupees 200 or more per month. Use any app to do your shopping, earn all their coupons & discounts, just upload the receipts on our App to earn another extra 1% instantly!. 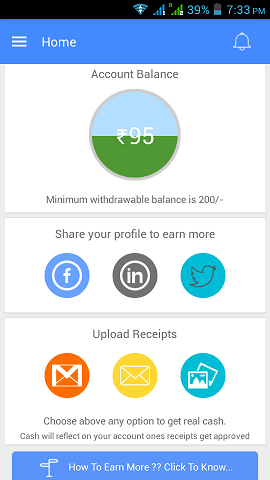 Download CashKamao app from Google Play Store. HomeNinja is a Marketplace for home services. Customers can choose service providers based on your schedule, price and customer ratings. Select cleaning, chef, handyman, etc. services in Finland region. HomeNinja is changing the way we get local services, also HomeNinja website provides trusted and reliable digital marketplace to list, search and book local services. Whether it’s clearing snow from your driveway or delivering flowers to a friend, we make help easily accessible and economical. It seamlessly connect people, who provide services and who need services by removing the sales lag and opening up more job possibilities for local businesses, professionals or part time enthusiasts who wish to monetise their time. InstantMeter is an App which we delivered to Neo-2 Limited which is a Mobile Research application for deeper understanding about how people think, how they are changing and why. InstantMeter app runs in the background which captures the various applications and phone usage summary at regular intervals of time and transfers to the cloud. InstantMeter purpose is to study consumer behaviour and helps mobile operators and mobile manufacturers meet consumer expectations.Consumer behaviour changes been tracked and the reason for changes is identified on real time. Data obtained in background is saved on cloud for further analysis. Technologies: Node.JS, Angular js, Dynamodb and Amazon AWS. This is one of the project which we are extremely proud of, as it posses all king of challenges integrating the app for big data collection and the scalability of the solution. We have designed and developed extremely powerful dashboard to process large amounts data and empower the user with strong analytics capability. Dashboard has some features such as interactive graphs, interactive maps, tracking capability, crowd sourced data analysis based date and time etc. If you’re looking for a dashboard solution which needs to be supported on popular web browsers look no further. 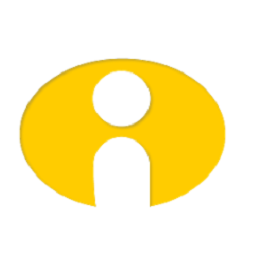 Book Cab for Android app is one of the most technically advanced Taxi Booking App out there. The On Demand Services Script Uses state of the art technologies like websockets from Pubnub, Stripe for Mobile Payments! The app is completely real time and has Mobile Payments integrated which ensures that the payment to your signed up drivers is taken care of automatically. The taxi booking app is completely PCI Compliant so you are assured of no legal issues with regards to Mobile Payment processing. The Taxi Booking app comes with 2 Mobile Apps , one is the Uber Clone Passenger App to track and book cabs and a Uber Clone Driver App for the drivers to accept Mobile Booking requests. The Uber Taxi Booking App uses a hybrid database of MySQL and MongoDB on the server backend and hence the Uber Clone App guarantees web-scale in case your application goes viral! MongoDB (NoSQL) ensure that the app can manage large volumes of data which is normally associated with real time applications!. We have readily available solution to migrate your business to online or to scale your online business with our experts. We have code ready solution with features that are commonly used such as shopping card, historical data, push notifications, promotion of products and checkout with online payments. 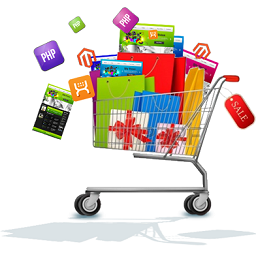 We can implement the solution with readily available ecommerce open source platform using open cart or Magento. We can also accommodate any bespoke requirement to use PHP, Node.js technologies along with online payment gateway implementation or upgrade your existing solution. We have enabled small and medium business with online sale capability which has benefitted our clients.